Vientos cracked Keith Law’s “Top 100 Prospects” by ranking in at number 60, the third baseman surprised a lot of fans as not many people had him on their radar. Vientos was drafted in 2017 in the second round as a shortstop and third baseman. 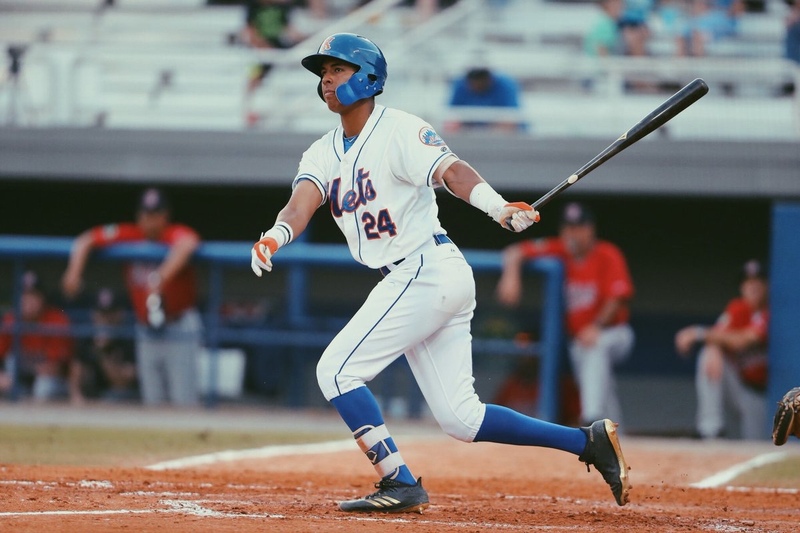 In 2017, Vientos spent his age 17 season playing for both the Gulfport Mets as well as the Kingsport Mets. Vientos accumulated 211 at bats in 51 games, batting .262/ .318/ .398/ .715 while hitting 4 home runs and driving 26 in. Vientos had a better season in 2018 as he hit 11 home runs, driving in 52 runners in 60 games toting 223 at bats. He also had an impressive slash line, batting .268/ .389/ .489/ .878 during his second stint in Kingsport. Vientos should find himself on the Port St. Lucie roster in the 2019 season and could find himself in Flushing, Queens by the 2021-2022 season holding down third base.